Slip into the bold and beautiful Altoria peep toe clog sandal by White Mountain shoes. 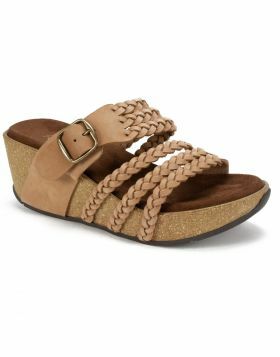 This slip on clog sandal features a soft suedette lining for ultimate comfort, and brass studs along the bottom for authentic style. Slip into the bold and beautiful Altoria peep toe clog sandal by White Mountain shoes. 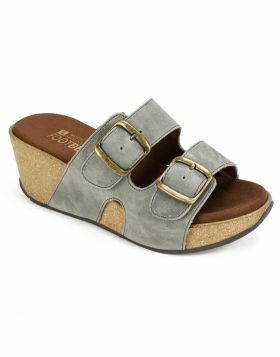 This slip on clog sandal features a soft suedette lining for ultimate comfort, and brass studs along the bottom for authentic style. Heel height: 3 3/4 inches.